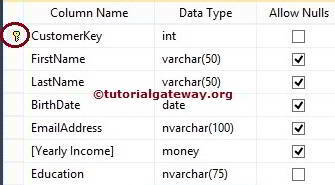 The SQL Server Alter Table Statement is used to alter SQL Server Tables. This includes Add New Columns, Modifying existing Columns, Deleting existing Column, Add or Removing Indexes, Dropping and adding Constraints like Primary Keys to the existing SQL table. In this article, we will show you, How to use the SQL Alter Table statement to alter the table definition with a live example. 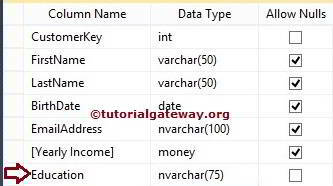 For this, We are going to use the below-shown Customer table inside the [SQL Tutorial] Database.